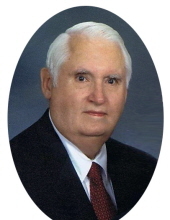 Dr. Howard L. Setser, age 84, of Green Valley Acres, Morehead, passed away Sunday, January 13, 2019, at Robertson County Health Care in Mt. Olivet. Born November 19, 1934, in Van Lear, he was a son of the late Frank and Wanetta Ward Setser. He is survived by his wife of 60 years, JoAnne Dillon Setser, whom he married December 26, 1958; one son, David Lee Setser and wife Ellen Setser of Hebron, New Hampshire; one daughter, Elizabeth Anne Berry and husband Dr. Robert Michael Berry of May’s Lick; one brother, James Lowell Setser and wife Mary Helen Setser of Marietta, Georgia; and three grandchildren, Whitney Ellen Vos, Robert Jacob Berry, and Joshua Dillon Berry. Howard attended high school in Van Lear, graduating as valedictorian, then attended Morehead State University, graduating with bachelor’s and master’s degrees in chemistry. He served as a medic in the U.S. Army from 1958 to 1960 at Fort Knox supporting the country’s earliest space flight projects. After his discharge from the Army, he returned to teaching, earning a master’s degree in education from Kansas State Teachers College and later the PhD in Botany from the University of Kentucky. He became a professor and advisor at Morehead State, where he influenced generations of students for more than 30 years, until his retirement in 1996. He was honored to receive MSU’s Distinguished Faculty Award in 1983. Known for his quiet and sweet soul, Howard enjoyed many hobbies including woodworking and furniture building, reading, and listening to music. An avid botanist, he also enjoyed field walks and gardening. Howard loved being a member of the Builders Class at Morehead United Methodist Church and he enjoyed playing Rook with his monthly Rook Club. He was a true friend to many and a loving husband, father, and especially beloved grandfather, known as Grandad to his grandchildren. Funeral services will be conducted 10:30 a.m. Thursday, January 17, 2019, at Northcutt & Son Home for Funerals Memorial Chapel with the Rev. Aaron Mansfield officiating. Burial will follow in Brown Cemetery with full military honors presented by Morehead American Legion Post No. 126. Pallbearers: Dr. Gerald DeMoss, Dr. Johnnie Fryman, Dennis Karwatka, John Mansfield, Drew McNeill, Dr. Ted Pass, Dr. Allen Risk, and Dr. David Saxon. Honorary pallbearers: Larry Dillon, Robert Jacob Berry, and Joshua Dillon Berry. To send flowers or a remembrance gift to the family of Howard L. Setser, please visit our Tribute Store. "Email Address" would like to share the life celebration of Howard L. Setser. Click on the "link" to go to share a favorite memory or leave a condolence message for the family.